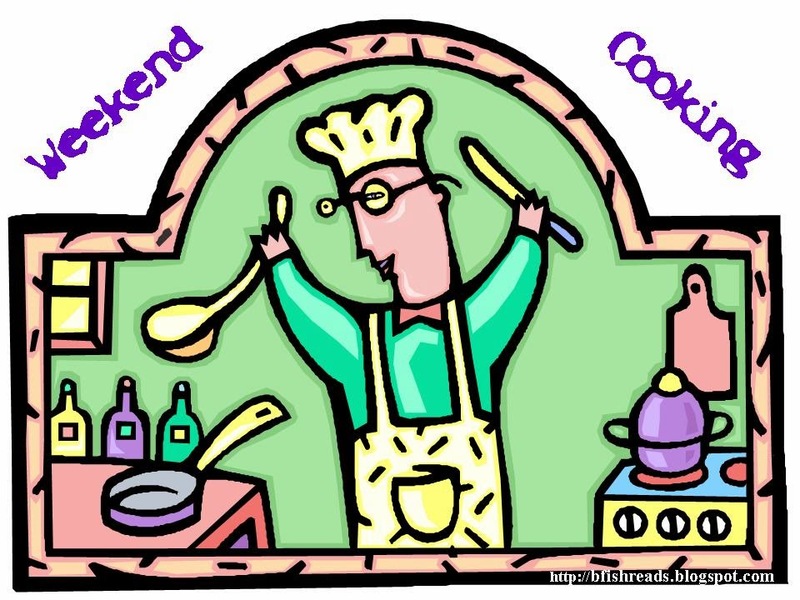 It's my first Weekend Cooking post! Excitement! Bacon. The candy of the meat world. This soup is stupid good. Best of all? It's simple to throw together! It takes a little time to chop up the veggies but it's worth the very minimal fuss. It was this soup recipe that inspired me to buy my first immersion blender. Do you have a favorite soup recipe? I'm always on the lookout for a new one, especially at this time of year. I am a big fan of The Pioneer Woman! Not only does she have great recipes, but she also gives the kind of detail I need to follow along. :) And we should get together to make our own broth and stock; I've been "planning" to do so for like three months. Yes! I need the details and the pictures and she does a GREAT job of that. I'm not crazy confident in the kitchen at times, I need someone to hold my hand. It can't be HARD to make broth/stock. I'm not sure what I'm waiting for? I still need to get an immersion blender. It would make soups so much easier! I love to make chili in the fall and winter. Never make it the same way twice! You can't go wrong with potato soups like this too. I love my immersion blender! I go through stages with making chicken broth. We go through quite a lot and it's difficult to keep up and to remember to thaw it out and then I have a bunch of boiled chicken to use .... so organic, low-sodium store-bought broth is one of the few convenience items I rely on. I'm going to keep experimenting with mine! I need to find some good smoothie recipes for sure. Same here, as far as going through a lot of broth. Seems like such a pain to make, lol. Yum, this soup sounds wonderful. I haven't used my immersion blender nearly enough. Must remedy that this winter. Also: BACON! I love my immersion blender. It makes life so much easier when it comes to soups or even smoothies. I love the Pioneer Woman's recipes (her mashed potatoes are life changing) but haven't tried this soup. I'll definitely have to fix that. As the weather gets colder I tend to rely more on soups. And bacon makes everything better! How do you like your immersion blender? I've been wanting to get one, didn't know they came in so many cool colors! Pioneer Woman is a fav in our house, nice post. I've only used it while making this soup but it was FUN! :D I ordered the red one. 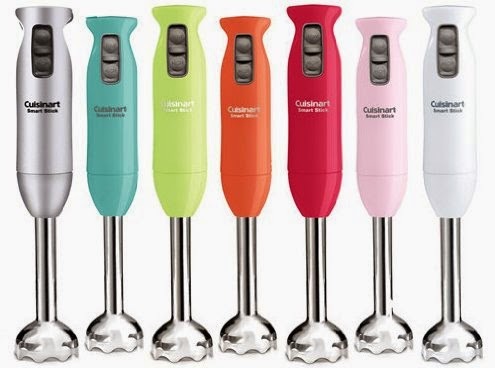 I was hoping for yellow but Cuisinart doesn't make one. Thanks, I have great faith in Cuisanart so I will have to get one. Sometimes the blender or good processor are too much to clean! I love potato soup but haven't made it in a couple of years. I think I'll try this recipe as soon as it cools down enough. I hope you do make this one, Vicki. I don't think you'll be disappointed! Love this one! First, I love potato soup (and bacon obviously!). Second, I have made one other recipe by Pioneer Woman and it was also stupid good (although not low cal)...French toast casserole. Third, I also love the immersion blender...it's so easy! I make a sweet potato and rosemary soup using it....I think it's a Giada recipe. I can't think of a better soup :D I would like to try my hand at a really good cheesy broccoli though. If PW has low cal recipes I haven't run into one, ha. Your soup sounds darn good too, I'll be looking for the recipe. This looks glorious. I've been in such a soup mood since the temperature has been dropping. Mmmmmm BACON! I'm all for bacon, soup not so much! Just a bowl of bacon would be good too, lol. I love me some potato soup, but I think my all-time fave is roasted red pepper and gouda. It's like tomato soup on crack. Ooh, that sounds ridiculously good! The Pioneer Woman for me is hit or miss. Half the time the stuff is just okay, and the other half it's pretty good. This soup looks pretty basic but good. I'd have to use a gluten free flour sub but I think it would come out okay regardless. Don't you love a good potato soup?? I may try this for Halloween, if it's not 100 degrees out.